From February 7th to the 14th, MultiVisionnaire Pictures will be exhibiting at the 2019 European Film Market (EFM) in Berlin, Germany. MultiVisionnaire’s EFM office is located at Martin-Gropius-Bau (MGB #120). At the market, MultiVisionnaire will meet with distributors and buyers worldwide to present 2019 premiere lineup as well as other leading-edge films. From Technophobic version of “GET OUT” with a reminiscence of David Cronenberg and Stanley Kubrick “DAISY” to a thriller that shall make you think twice when you travel by air next time “DEAD HEADING.” A romantic comedy exploring our obsession with human genetics “RECREATING DAWN” to ab action packed mix martial art gem, “FIGHT FOR JUSTICE” —MultiVisionnaire offers solid entertainment choices for buyers at the 2019 EFM! “DAISY” (available in 4K UHD): Lex and Dru go to Leo’s birthday masquerade party. Leo is Lex’s brother and a reclusive computer programmer. As party favors, Leo hands out USB drives labeled “DAISY” to his fellow hackers. In fact, DAISY is a new kind of Artificial Intelligence virus with the ability to evolve and adapt, enhanced with predatory tendency to ‘sacrifice the weak’ to yield efficiency in order to win at all costs. 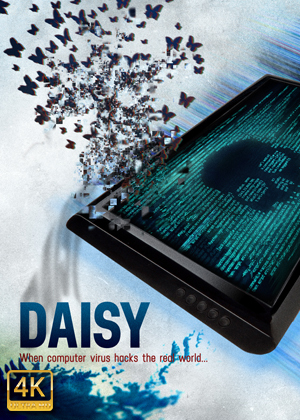 When the computer virus is unleashed, DAISY locks down all access to the apartment and cuts off all phone receptions. Leo, Lex, and Dru find themselves trapped together in the building while DAISY starts aggressively creating her own imitations of life and even manifests new creatures for the new Paradise. It is so powerful, Leo has lost control even as the creator of the virus. DAISY, evolving into an organism, rapidly spreads everywhere — in the air, in the water, under the skin, and in its human hosts. Lex tries to call for help, only to find an apocalyptic outside world because DAISY has been unleashed into the world through the party guests. 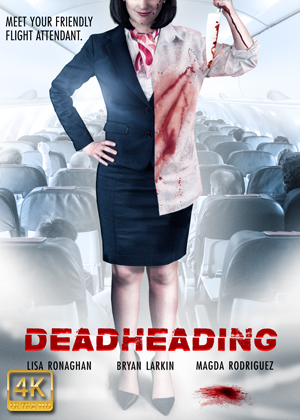 “Dead Heading” (available in 4K/UHD): When the flight attendant, Anna, arrives in London Heathrow after a long-haul flight from New York; she’s exhausted. Facing another bland hotel room just adds to her emotional state of mind. By chance, she meets a good-looking man in the bar — that perks up her evening and the two quickly hit it off. When Anna awakes the following morning, she finds herself covered in blood and the man next to her murdered. Who did it? The circumstance put her in a difficult situation to call the police, but what is she going to do now? How do you get rid of a body trapped in a hotel room? Anna races against time to put the pieces together to discover a terrible truth…She may not be alone! “Recreating Dawn” : After his beloved wife, Dawn, is lost in a tragic fire accident. Adam, a genetics professor and cloning researcher, decides to bring her back by cloning her. There are the obvious ethical concerns; however, Adam justifies this by telling himself that cloning is a result of love for life. But the woman he creates is different than the woman he loved, so he tries over and over in a desperate attempt to get her back, exactly as she was. Question of the day: How far would you go to get your loved one back, or let go? 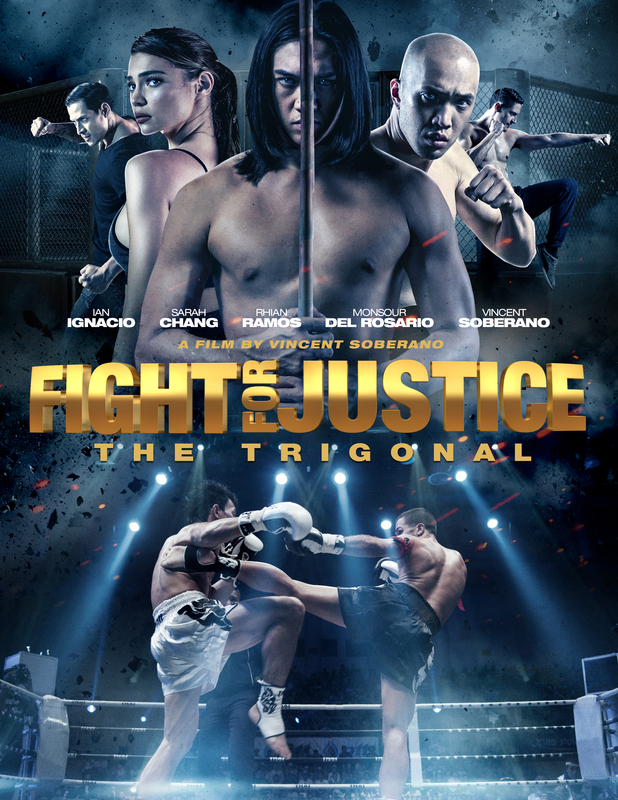 “Fight For Justice” (available in 4K UHD): An international crime syndicate runs a vicious underground fighting circuit, The Trigonal, is looking for the strongest and the best fighters for a high-end, ground-breaking experimental drug-induced competition worth millions of dollars. To force the MMA champion, Jacob Casa, to come to the circuit, they brutally assaulted his wife and murdered his best friend. Leaving him with no other choice, Jacob infiltrates The Trigonal to fight for justice.